That's right, every new DUNGEONS & DRAGONS® RPG SoundPack and every General Fantasy SoundSet released during the period of your active subscription will be yours to keep forever. Consider a SuperSyrin subscription instead? 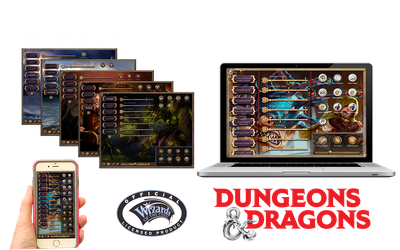 Upgrade to a SuperSyrin and get everything above and below PLUS: Sci-Fi content; Board Game content; use of the Syrinscape SoundSet Creator; Syrinscape Online; and access to the ever growing library of Community Content and more! Plus, as long as you remain a subscriber the complete catalog of Syrinscape Fantasy SoundSets will be accessible to you, even the ones you haven't ever paid for. If we've made it, you'll be able to download and use it.